Not all questions need a long answer. Sometimes the answer is simple - like how old do gulls have to be to fly? They fledge around 4 weeks. Done. We had a LOT of questions over the holidays, mostly in the car. While I haven't had a chance to address them all on here, I have been busy racking my brain (and googling) for the answers. A longer post is in the works (warning: contains bears), but I didn't want to ignore the simple things. I've compiled a list here of some of the more interesting things we talked about that don't really require a whole post, a synopsis of our car rides and outings if you will. Think of it as fun little tidbits you can pull out at the dinner table as a distraction. OK... so I'm not actually sure that will make your kid eat carrots. Maybe they will then be so fascinated that they forget to complain and eat carrots or maybe they will have nightmares about zombie spiders. Or if you are Bunny you ask where one might get a wolf spider to see if it works and then ask for carrots that aren't cooked. Squid have 8 arms and 2 longer tentacles for a total of 10 dangly bits. Cacti photosynthesize in their stems, so they don't need leaves. I honestly have no idea if the one on the kitchen windowsill will ever flower. Reindeer and Caribou are the same species - Rangifer tarandus. They are just called caribou in North America. So yes, essentially Santa's sleigh is pulled by 8 caribou. The poems and songs are really not specific to the subspecies or continent that they are from. You could also say there is a reindeer on our quarter. Am I a reindeer or a caribou? I'M BOTH! The museum here has a dog-powered butter churn (OK - this wasn't a question, more of a something we all learned together). And it was patented twice which means people were actually using and buying this thing! Thanks to google I now know that there are multiple versions of this. Dogs making butter, what will they think of next? We also learned that people in Victorian times saved their hair in a special little pot and made art out of it. Ew. Northern Leopard Frogs live 2-4 years in the wild if they don't get eaten by something. Pine needles stay on the tree 1.5 - 40 years depending on the species of pine. 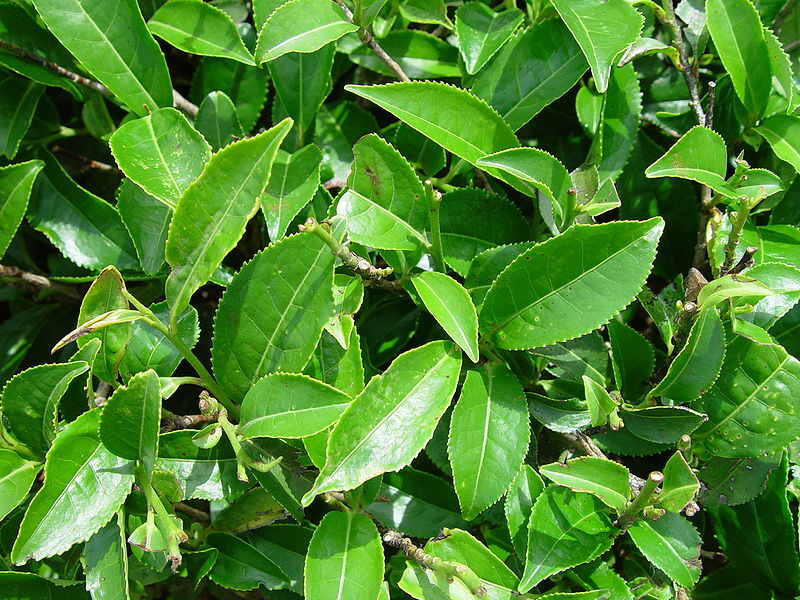 Tea is made from the leaves of the Camellia sinensis plant. It is actually an evergreen tree that can grow up to 16m (52 feet) if left alone. Beans loves it, as do I. Bunny prefers hot cocoa which is the seed of Theobroma cacao, which is also an evergreen tree but only grows to 4-8m (13-26 feet). And to round out our hot beverage discussion - coffee is the seed of the Coffea genus which is found inside the fruit. It's the smallest plant of the bunch, only growing to 3-3.5m (10-12 feet). Now watch "Olive the other reindeer" about 15 times and it's like you were with us for the holidays! Thanks to wikipedia for the pictures. I apologize for any spelling or gramatical errors in this post, my proof reader is 7.